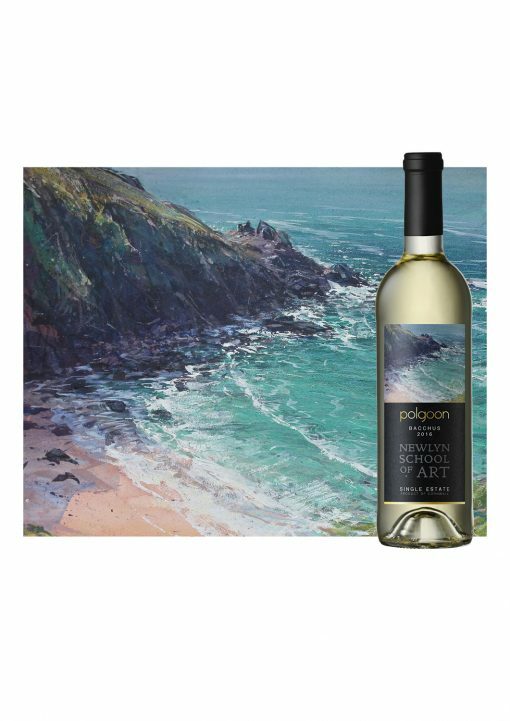 Paul Lewin’s ‘Veor Cove’ print with a bottle of our limited edition 2016 Bacchus – the perfect Cornish gift. 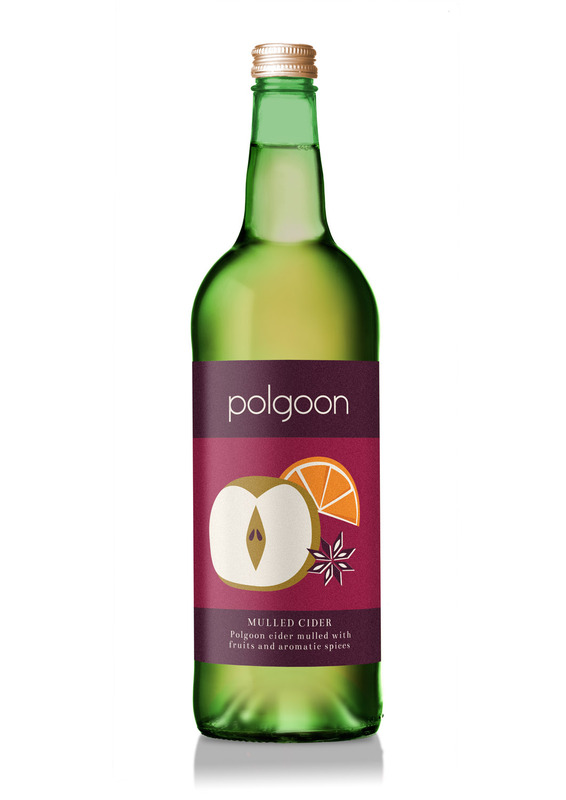 A love for the Cornish landscape inspired the Coulson’s to create this unique collaboration with Newlyn School of Art; commissioning the tutors to create artwork for the label of their latest vintage, the Bacchus 2016. 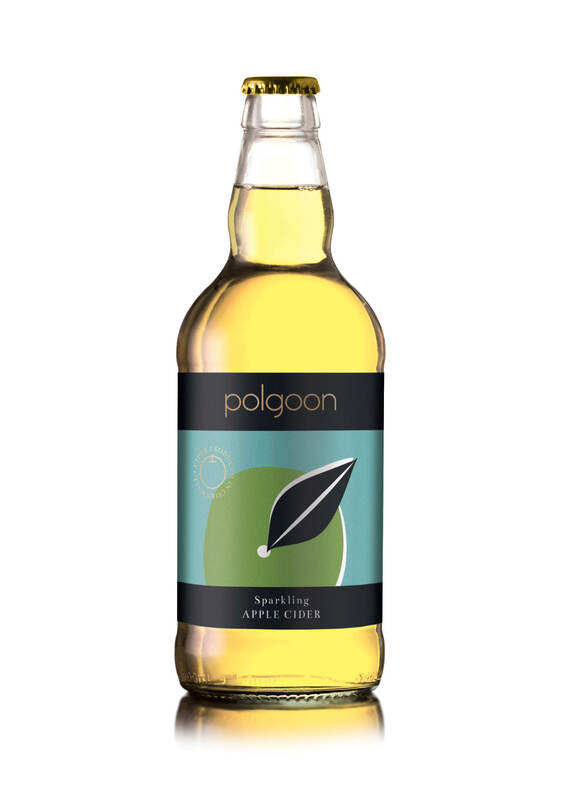 This year Polgoon is working with the artist and tutor, Paul Lewin and his painting ‘Veor Cove’ features on the label. 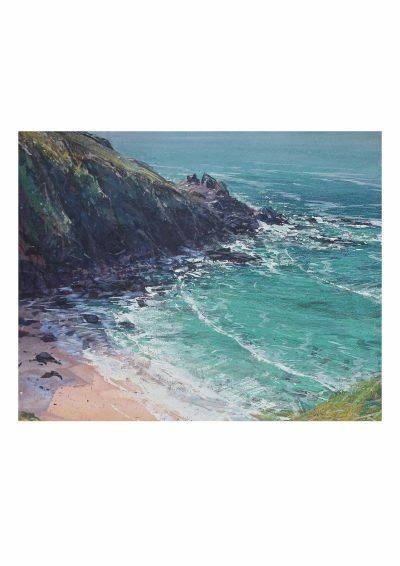 Paul Lewin’s ‘Veor Cove’ signed and numbered A3 print with a bottle of our limited edition 2016 Bacchus, is the perfect Cornish gift. This combination gives you 10% off the original price of both items. It is a beautiful painting!